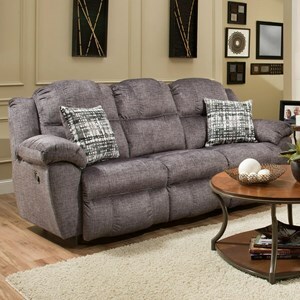 Pair this reclining sofa with its matching loveseat for the perfect family room arrangement. 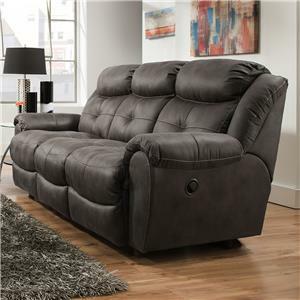 This sofa features a casual style and plump padding throughout with two reclining seats (one on either end) and a stationary seat in the middle. When you don't need to use all the seats, a drop-down table is hidden in the seat back of the middle chair, complete with lights for when you're watching movies with the lights dimmed. 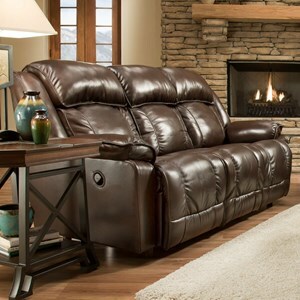 The Legacy Reclining Sofa with Table and Lights by Franklin at Howell Furniture in the Beaumont, Port Arthur, Lake Charles, Texas, Louisiana area. Product availability may vary. Contact us for the most current availability on this product. 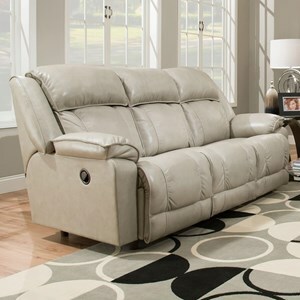 This reclining living room collection has it all - casual style, comfort and tons of built in features. 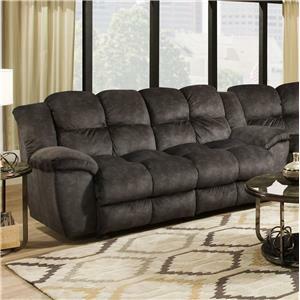 In addition to plush padding and reclining seats, this furniture group takes things up a notch with convenience functions your whole family will love. The sofa in this group features a drop-down table in the middle seat's back with lights that are perfect while watching movies in the evening. 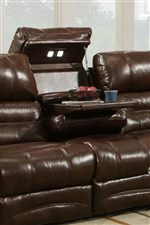 The loveseat also includes a convenience feature with a console built between the two seats and cup-holders so that you can always have a beverage close at hand. 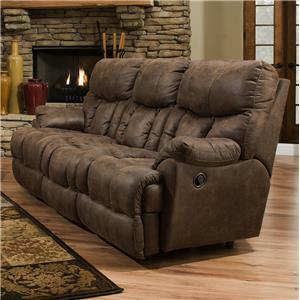 The Legacy collection is a great option if you are looking for Casual furniture in the Beaumont, Port Arthur, Lake Charles, Texas, Louisiana area. 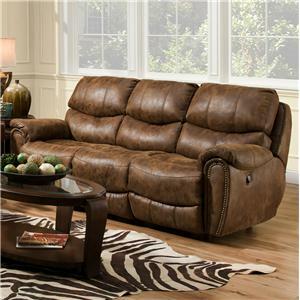 Browse other items in the Legacy collection from Howell Furniture in the Beaumont, Port Arthur, Lake Charles, Texas, Louisiana area.